Home > Uganda Safaris > 5 days Ishasha tree climbing lions and Bwindi Gorillas safari. Our 5 day Ishasha tree climbing lions and bwindi gorillas is designed for those interested in combining gorilla trekking in Bwindi Impenetrable National Park and thereafter visit the southern part of Queen Elizabeth National Park. Two nights in Bwindi Impenetrable National Park and two nights in Ishasha side of Queen Elizabeth National Park will be enough to see the endangered giant primates plus wild game of ishasha including tree climbing lions. 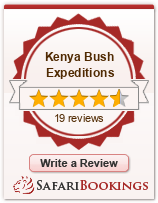 Day 01: Begin your 5 day Ishasha tree climbing lions and Bwindi Gorillas safari. You will be picked and briefed by our guide who will then drive you to Bwindi Impenetrable National Park. You will pass several small towns, roadside markets, have a stop at the Equator crossing and Lunch before proceeding to Bwindi Impenetrable National Park arriving late afternoon for dinner and overnight. After breakfast and with your packed lunch, you will walk to the park headquarters for briefing about gorilla trekking. Your guide will take you through all the dos and don’ts while with mountain gorillas and after that, you will be transferred to the starting point of your gorilla family. Please note that gorilla family allocation depends on your interests, fitness and age. Please inform your guide of your interests and he will try to request for the gorilla family of your choice before you start the trek into the forest. Gorilla trekking can be strenuous and a certain level of fitness is required. Gorilla trekking can take from 30 minutes to three quarters of the day so one needs to prepare for both. You guide will try to provide information about trees, birds and other wildlife in the forest until you reach a given gorilla family of gorillas. You will be allowed only one hour of photography and observing mountain gorillas as they go about with their daily day activities and then trek back to the park headquarters to pick your certificates and then dinner and overnight at your Lodge. After breakfast, you will drive to Ishasha side of Queen Elizabeth National park for your morning game drive. Ishasha is popular for tree climbing lions and chances of seeing them climbing depends on your luck of the day. You will be able to see other animals like Buffaloes, Elephants, Antelopes and many. You may also drive to River Ishasha to see the border of Uganda and Democratic republic of Congo. Return to the Lodge for Lunch and then evening game drive in Ishasha. Having explored all parts of Queen Elizabeth National Park, we will drive back to Kampala or Entebbe International Airport for your departure flight out.